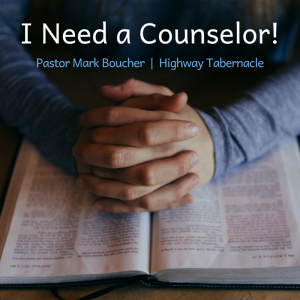 It’s no shame to need a counselor. We read of the kings of Israel who sought advice and wisdom from counselors. I have a counselor I seek out regularly…in fact every morning. “Your statutes are my delight; they are my counselors” (Psalm 119:24). Each morning I ask the Lord to teach me and guide me by the Holy Spirit as I read and think about God’s Word. Of course, there is an important place for human counselors. However, the counsel from the Bible doesn’t require an appointment or cost you money. The price you pay is time, discipline, and attention. The rewards you will reap are out of this world! We don’t “have to read the Bible”; we get to read the Bible, and make it our primary source of counsel for life. There are many who try to attack the Bible, claiming it is full of discrepancies and errors. When I read articles by skeptics, I wonder how often they actually read and study the Bible. Personally, I discovered wisdom, purpose, and insight into my own nature when I started reading God’s Word. The counsel of the Bible lifts me out of discouragement, shakes me out of lethargy, and fills me with great joy. A sadness comes into my heart when I think of how many people will go through their entire life and never know the life-giving counsel of Scripture. As a pastor, I don’t read the Bible just to get sermon thoughts. I read because I need what God has to say to me. As a sheep first (and under-shepherd second), I need to hear God speaking to me, keeping me on the good path and sparing me from self-destructive behavior. My prayer for every person connected to Highway Tabernacle is for you to delight in the Word and develop a great hunger to think God’s thoughts. If you are new to the Bible, I suggest you open to the Book of John. Before reading chapter one, pray and ask the Holy Spirit to help you understand and obey what God says. In areas where you are confused, don’t give up. Believe that as you grow in the Lord, these areas will become clearer. The counsel of the Bible is right in front of you…waiting for you to mine its treasure. Enjoy!